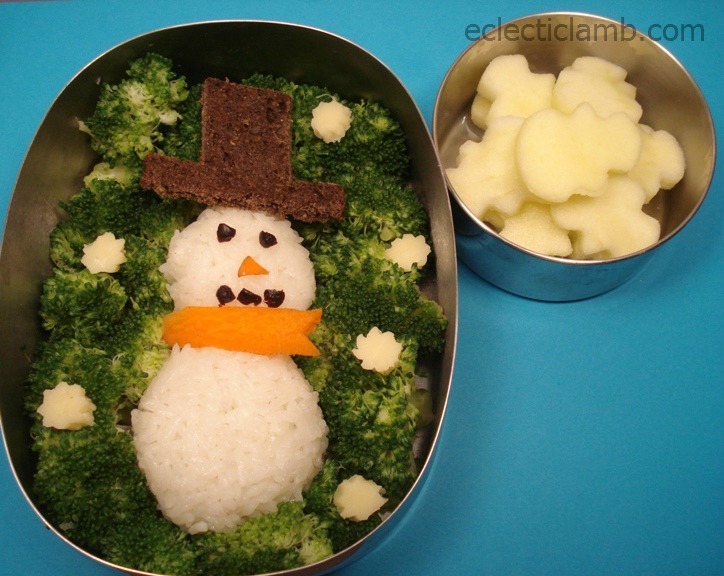 This entry was posted in Bento / Cute Food and tagged bento, snowman lunch, vegetarian, winter lunch. Bookmark the permalink. You are so creative. You could design a Bento and stitch it in thread. Well done Kathy. That is a good idea! Thanks! Looks delicious, absolutely love the snowman, so clever! I really like this one. It looks cute and very tasty! Congrats winning Bento of the Week!